"I ve got to stop being so nice." How often has Dr. Evelyn Sommers heard that from her clients over the years? 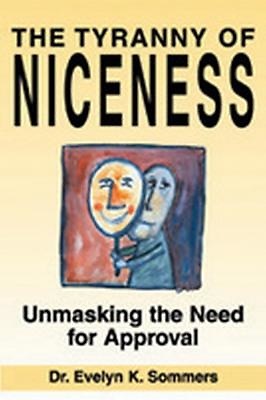 The Tyranny of Niceness identifies and confronts our most fundamental social dysfunction - niceness. For over 15 years, Sommers, a Toronto psychologist, has treated many twisted lives created by being nice. She interweaves the case histories of her clients with her own observations to present a frightening, yet hopeful, picture of a society that promotes silence and obedience over individuality and honesty. Through her stories and analysis, we see that letting go of niceness, without being rude or uncivil, means a new way of relating to others and a new honesty with oneself.